Many of the designers are thinking to show their creativity by their power of innovation by giving much effort on renovating the ignored part of the houses or apartments. The best example for this is the ceiling of your house or apartment. Previously ceiling was the most ignored part of the house or better to it is the fifth forgotten wall of the house. Owners usually think of the design of the house, what type of furniture they will buy and where to put that all, the colour of the rooms, what will be the interior color and also about the exterior color. What will be the accessories for the washrooms, to the kitchen or to the living area? But actually, nobody cares for the ceiling of the houses. designers are successful in changing this kind of thinking. Interior designers have already come up with different kind of textured ceilings which can easily decorate your house and definitely change the look of your house. Now we will see the designs through which we can easily change the look of your Textured ceiling designs. Basically in late 90’s or 80’s textured ceiling was done in order hide the imperfection of the house, but nowadays this actually not being done only for this purpose. The textured ceiling is used for the ceiling design to add the x-factor to the apartment or house. Let’s talk about the first one. Popcorn ceiling design, popcorn ceiling was actually evolved in 60’s and 70’s popcorn texture ceiling designs basically found in old homes. Popcorn design is specially designed to hide the flaws of the house. Next, we can speak of the drywall design which is basically designed to hide the patterned ceiling it was basically used after the popcorn ceiling. It was used by making the surface smooth of the popcorn ceiling with the putty knife and then putting the plaster. That’s why drywall is also known as the plaster. Now let’s talk about the knockdown textured ceiling. 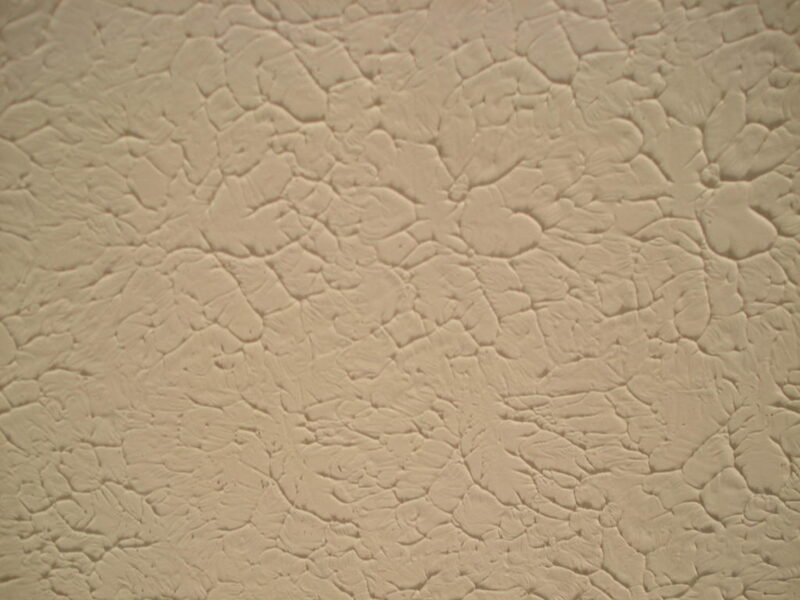 Knockdown textured ceiling is much more finished and it also gives a smooth look to your home. Through a compound layering of the plaster it smoothens the popcorn ceiling; sometimes it’s being done with the orange peel. After that, you can apply the color as per your wish to give a finished and glowing to your ceiling. Next, we can come across stomp kind of textured ceiling designs. This type of textured ceiling is basically done in a very thinner proportion and this type of textured ceiling is not being done to hide the flaws of the ceiling. It’s being done with the compound joint layering and after that, they apply the different cracked brush for designs as it’s very soft in its texture. That’s why stomp Textured ceiling design is also known as the crowfoot design. Thus textured designing for ceiling can easily give your ceiling a new look.